LOCATION This generous, one bedroom apartment is set within an enviable location, to the West of Horsham town centre. PROPERTY From the communal Hall the front door opens into the Inner Hall, which has two cupboards and doors opening to all rooms, including the 12’0 x 11’10 Living Room which overlooks the well kept communal gardens. The Kitchen, which also overlooks the Gardens, measures over 11ft in length, has space for a range of appliances and could be refitted to offer a more modern space. 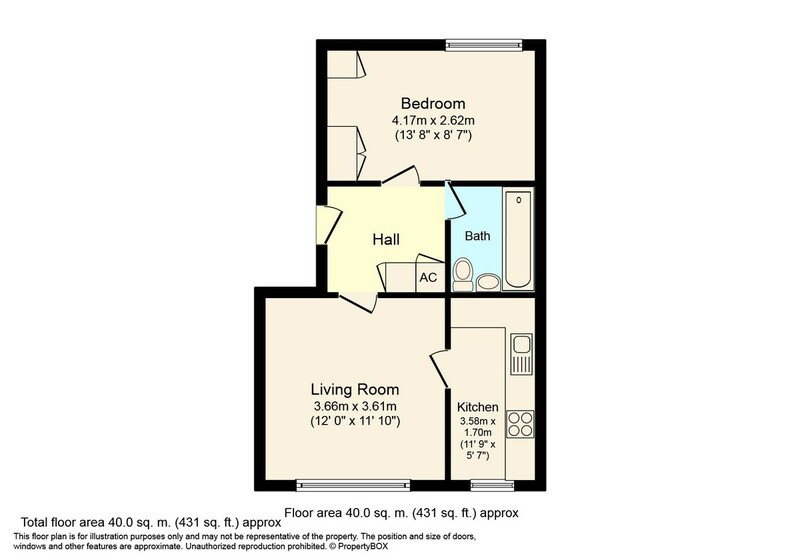 The fantastic double Bedroom has a large window flooding the room with natural light with two sets of built in wardrobes and is positioned next to the Bathroom which has a shower above the bath. OUTSIDE The property is surrounded by well maintained communal gardens and there is excellent resident parking, with one allocated space and additional visitor spaces within the development.